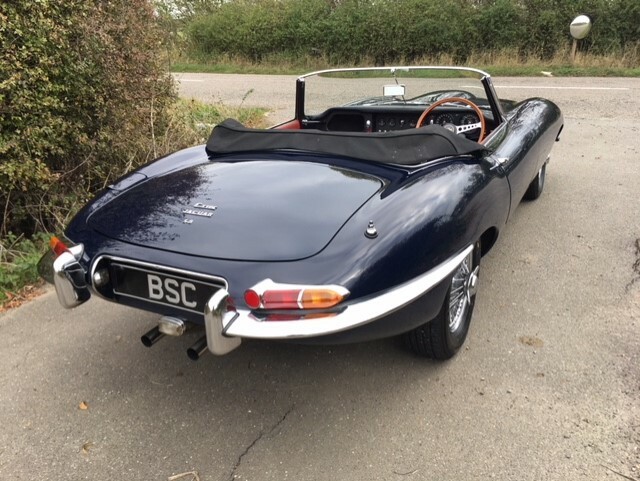 Enough has been written about the legendary E type and every time one comes into the showroom your heart still drops with the magnificence of the design and beautiful shape. 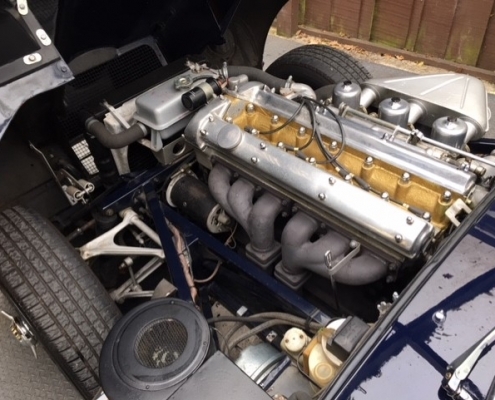 She has only had five owners and we have a lovely history file showing the original engine and Moss gearbox. 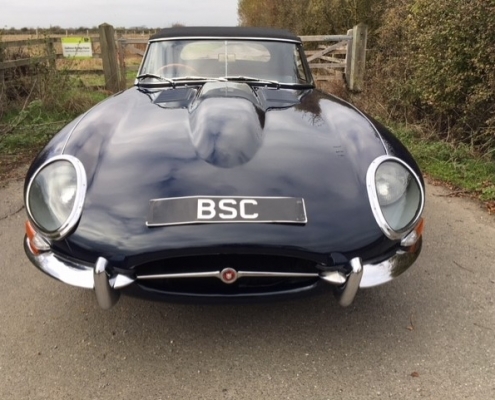 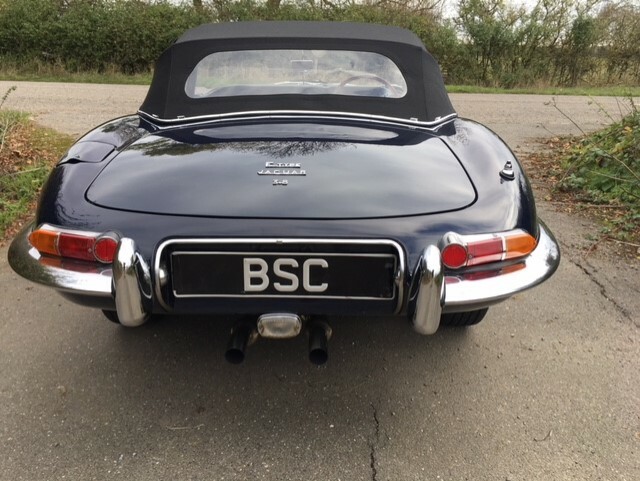 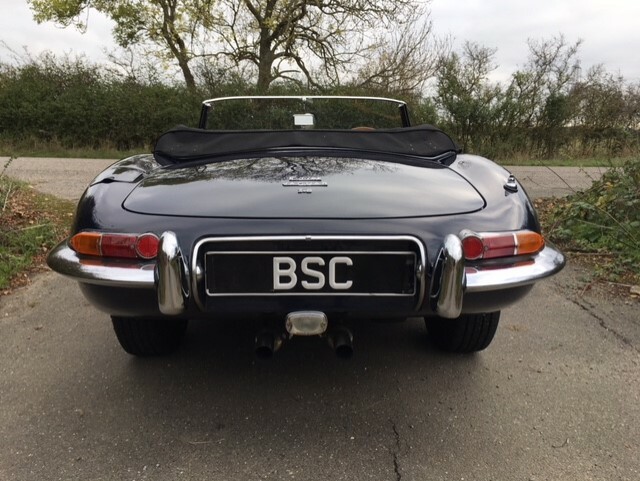 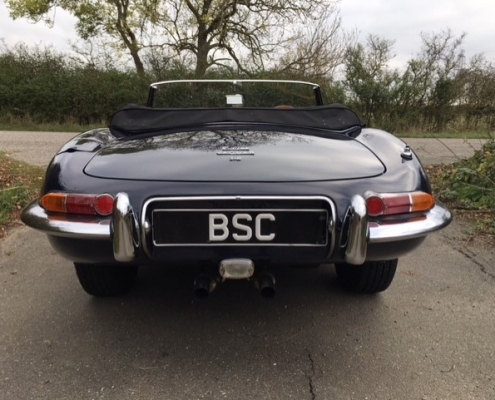 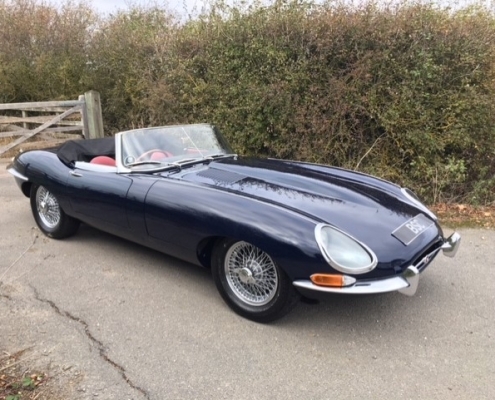 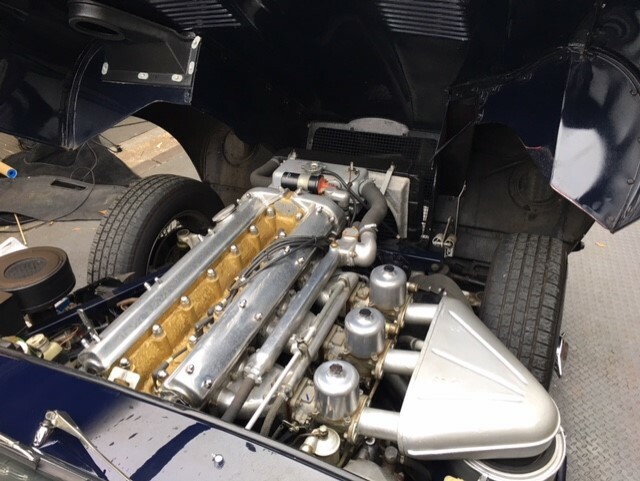 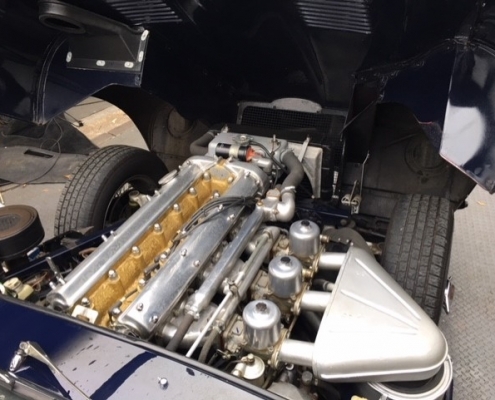 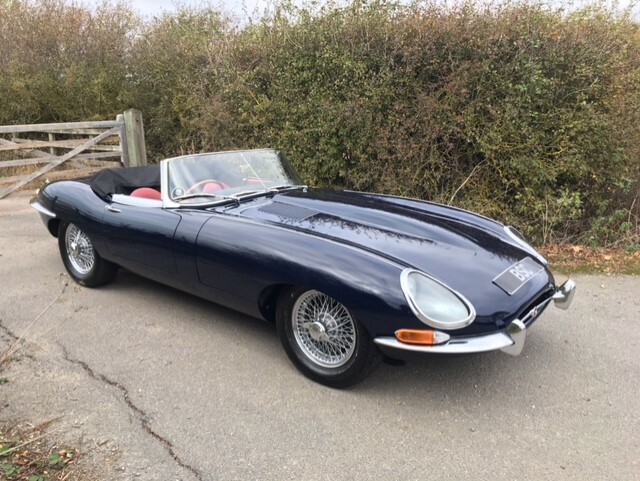 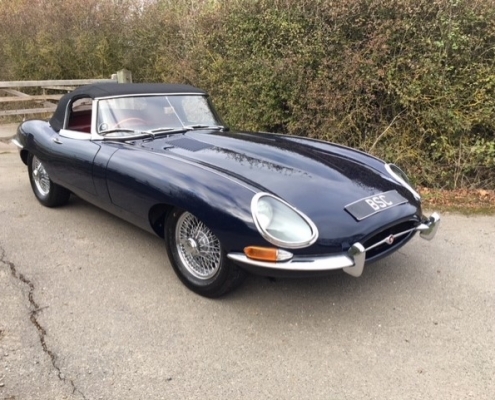 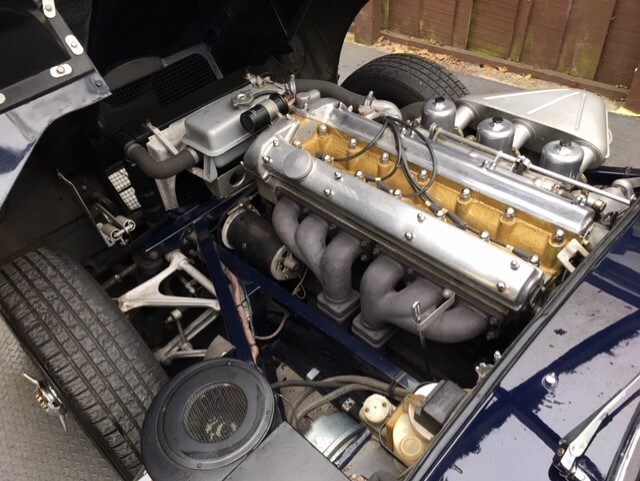 Over the years, she has been maintained by some of the leading Jaguar specialists in order to keep her in the excellent condition you can see in the photos. 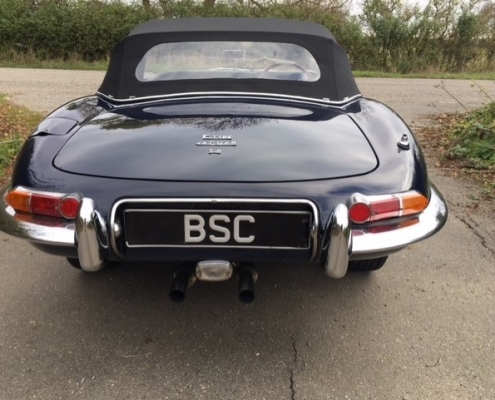 Recently, money has been spent on a new stainless steel exhaust. 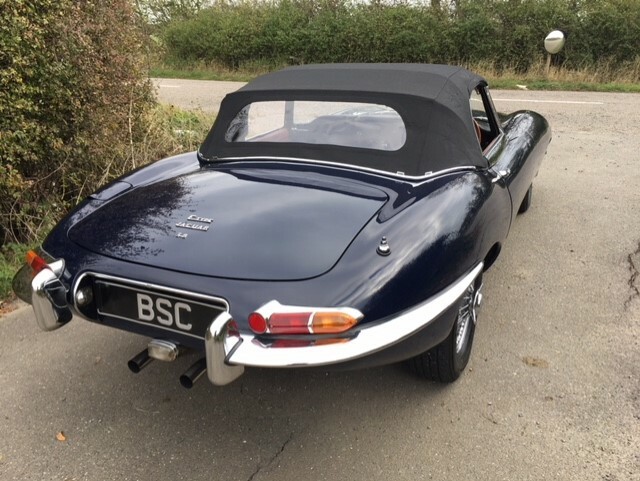 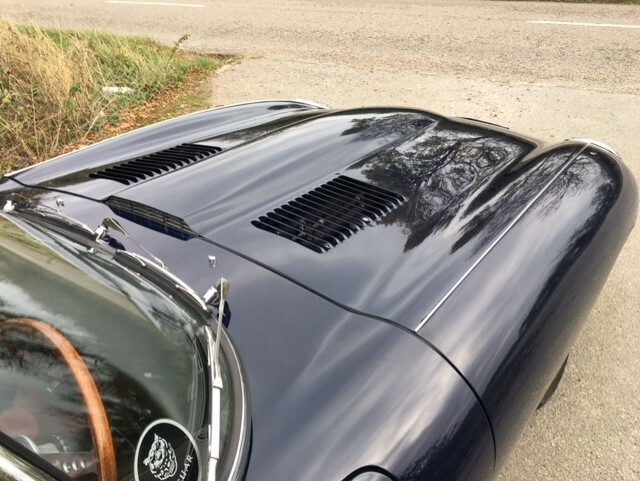 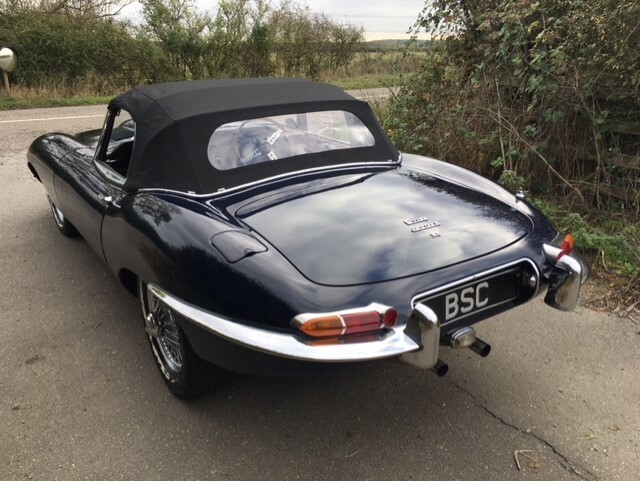 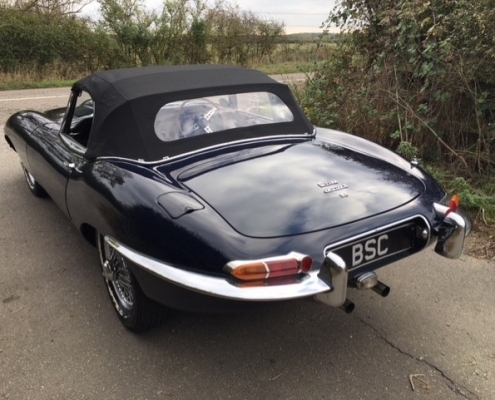 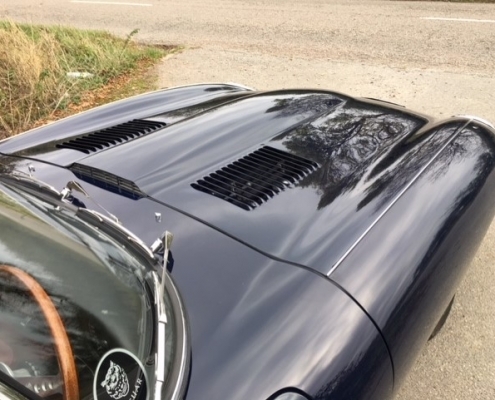 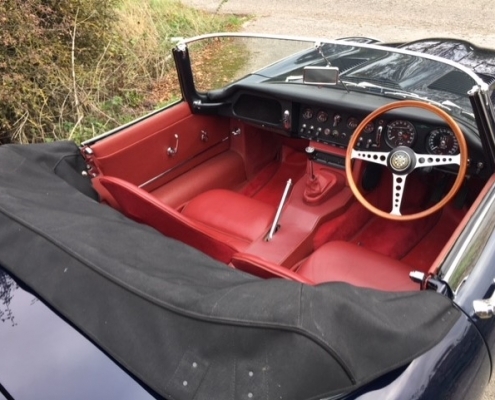 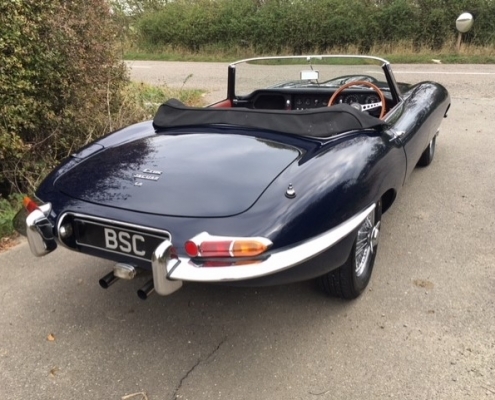 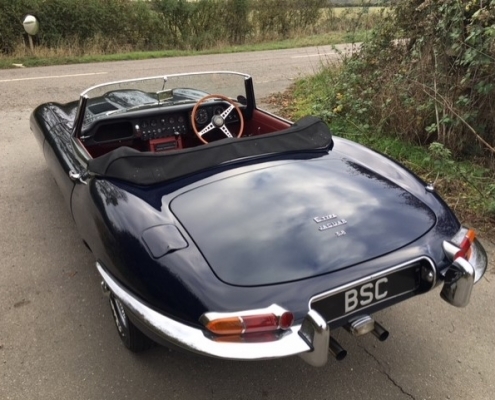 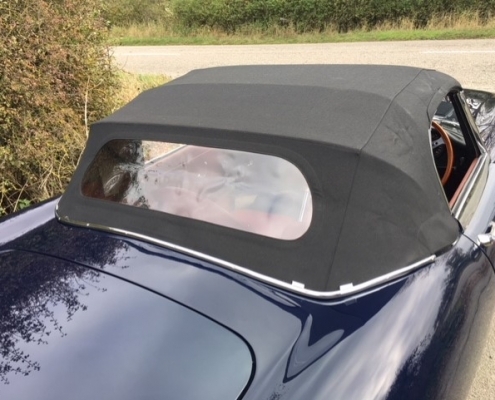 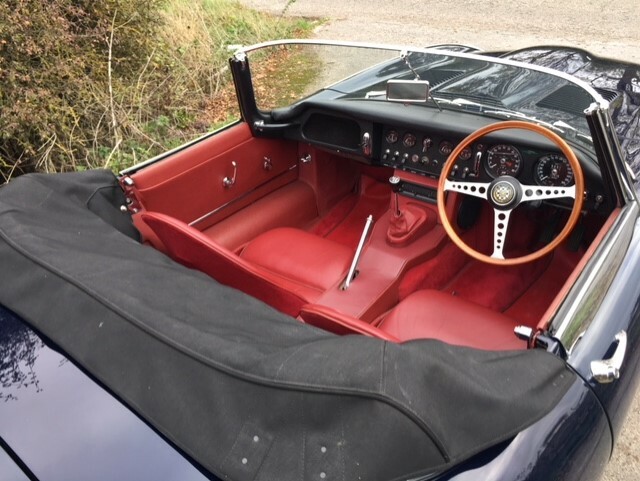 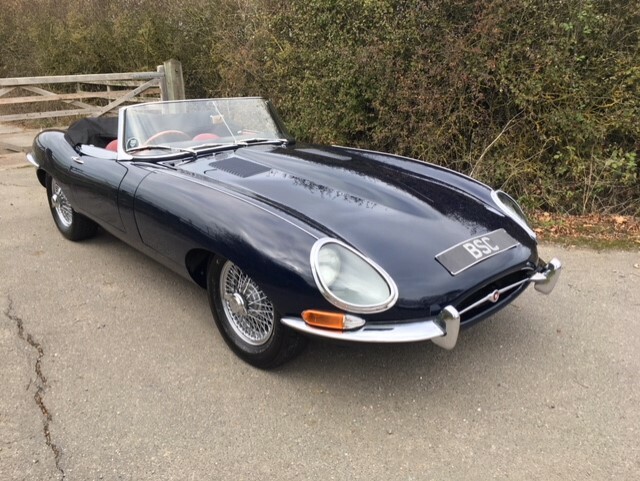 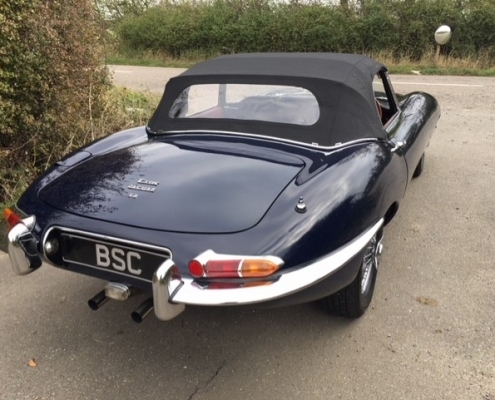 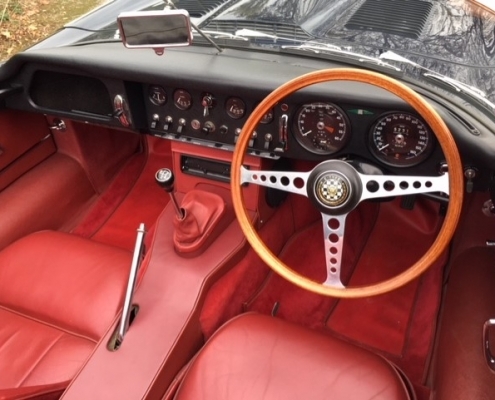 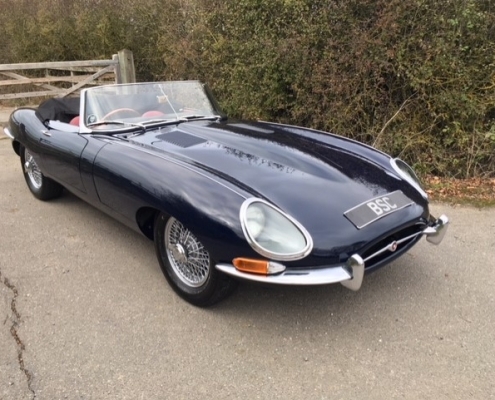 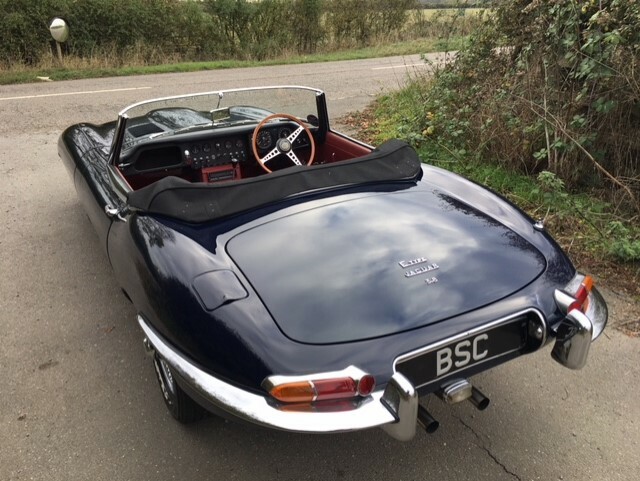 On the road, the E type is still amazing and an excellent drive, and it must have been like jumping into a Supersonic Fighter Jet when they were new in the early 1960’s! This one is ready for use and would be a terrific car to cruise around Europe and enjoy. 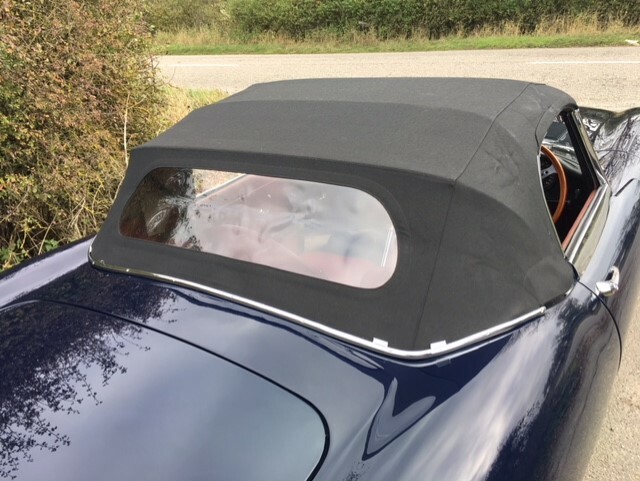 Supplied fully inspected, serviced with a 12 month comprehensive warranty.